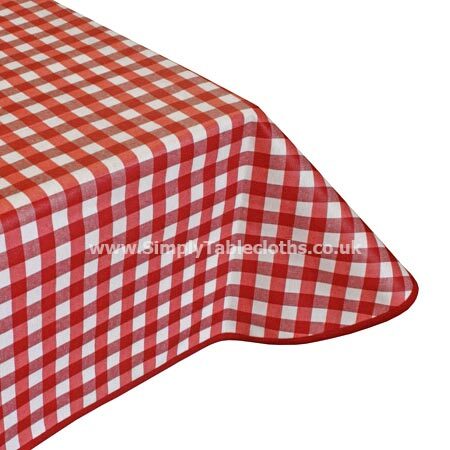 Ah, the classic red and white gingham tablecloth. What says “picnic” more than this? Use it all summer long, for years to come. This Teflon coated tablecloth is easily folded up for travel, and the surface will be protected for all of your outdoor use. Wipe clean the surface for easy cleanup!